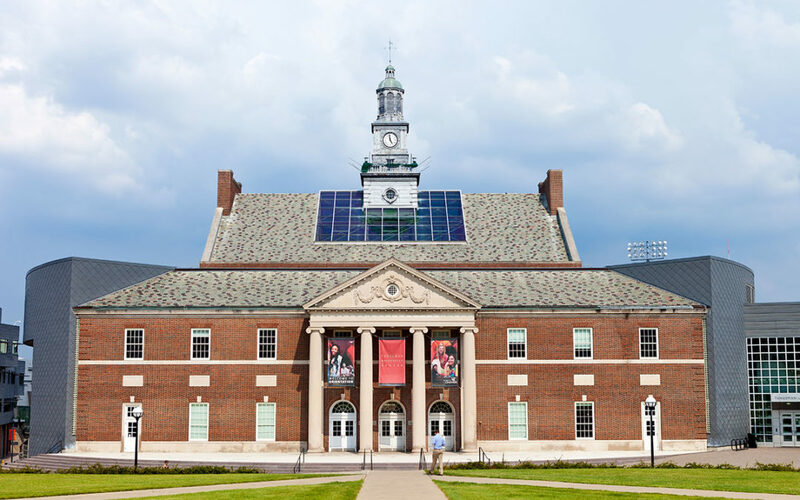 With an economic impact of over $3.5 billion per year and enrollment of more than 44,000 students, UC is the largest single employer in greater Cincinnati. UC has been credited with defeating polio, inventing Benadryl, creating the first YAG laser to treat brain tumors and creating the very first cooperative education program blending coursework on campus and outside work at a partner firm, giving students over one year of relevant work experience by the time they graduate. Many UC programs are nationally ranked, including musical theater, neurology, science, law and aerospace engineering (Astronaut Neil Armstrong was a professor of this program until his passing). 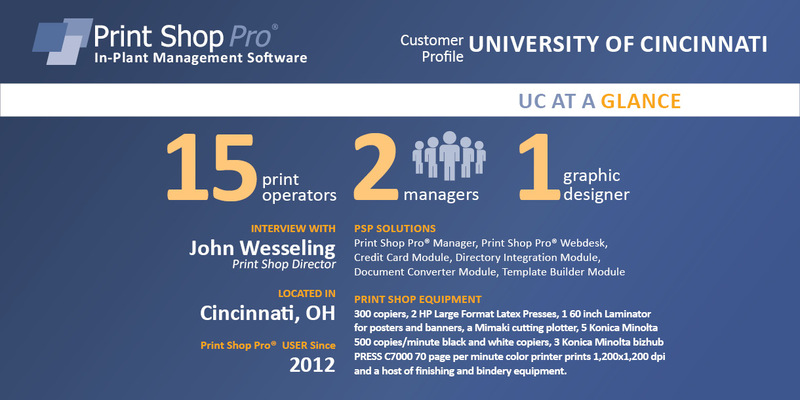 UC has been a Print Shop Pro® (PSP) user since 2012. In 2018, UC hosted the annual ACUP conference for higher ed in-plants. The Print Shop Director, John Wesseling, sits on the board as VP of ACUP and welcomed peer in-plants to tour his expansive print operation. We had the pleasure of meeting with John following ACUP to learn more about his operation. John has been with UC for more than 43 years! John shared, “I have either attended or worked at UC since 1972.” John oversees a robust printing operation for UC with the support of two Print Managers, Karen Kappen and Mike Burke. John’s team manages printing for all schools including 100% of the printing for Cincinnati State. 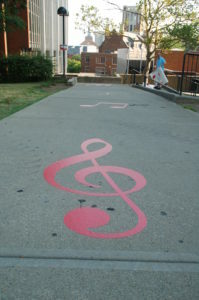 Street wrap at World Choir Games. Another fun job was when UC welcomed in a new President. “We created fun welcome signs and banners with the same materials and created window clings to welcome the incoming President”, said John. Outside of running a major print operation, John loves music and theatre. 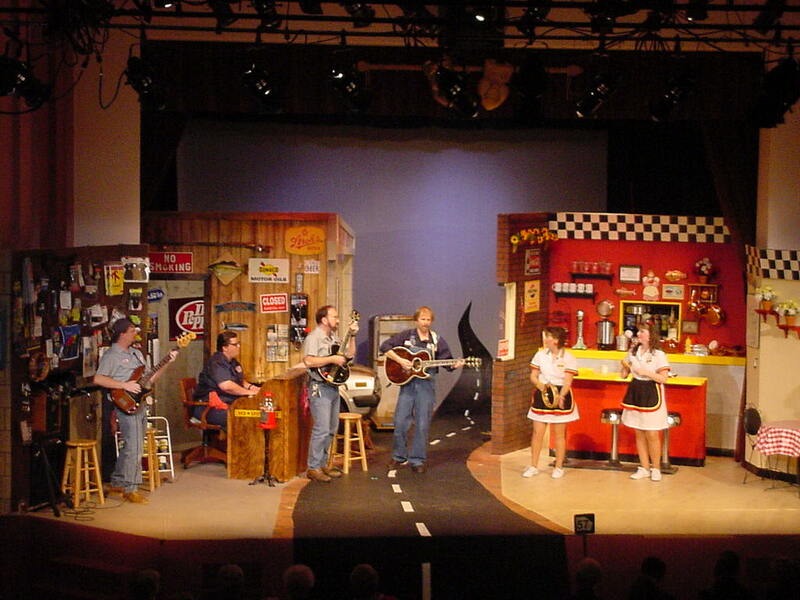 He sits on the Board of the UC Community Theatre Program, has starred in several musicals and also played in a Rock and Roll Band. Rock on John! edu is proud to have UC as a long term PSP User and we look forward to meeting the needs of your amazing team in Print Services for years to come.